The idea of ‘New India’ was recently coined by the Prime Minister Narendra Modi and the IAS aspirant must study the topic before the IAS Exam which is to be held in June 2017. In this article, we have discussed the initiatives of the Government in process of making India as a ‘New India’. Recent approach of the government to make India as a ‘New India’ is quite interesting as it generates a new hope among the people. The present government claimed that we are going to rewrite India’s growth story in the global geopolitical economic sphere, visualising new courses in its governance paradigm and striving to pull down the old impressions of the country to evolve into a new concept of ‘New India’. This is a very important topic in terms of IAS Mains Exam and it can be asked in the UPSC IAS Exam 2017. 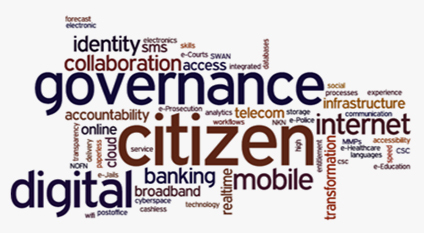 The IAS aspirants should not ignore the topics which have been implemented for the benefit of the citizen. In the last 2-3 years, the government has succeeded to change the mindset and behaviour of the people and the economy is heading towards a different level of growth and integration. The series of bold initiatives of the government made the Indian economy more shock proof and the succeeded to retain the tag of the third largest economy in the world with a robust, fast growing market for goods and services. The ranges of stories like Resurgent India, Digital India, Inclusive India, Incorruptible India, Investor-friendly India, Transformational India, Clean India, Skill India, Transparent India, Transforming India, Emerging India, Caring India, and Communicating India are in the process of shaping India as a ‘New India’. The demonetisation drive of Rs. 500 and Rs. 1000 notes in November 2016 impacted positively on the economy and it also provided a logical climax to the series of initiatives taken towards to curb the three-pronged menace of black money, counterfeit currency and corruption. Setting up of a SIT collaborated with Swiss Bank to deal with investigations on individual cases of tax evasion and Income Declaration Scheme (IDS), which mobilised tax revenue of nearly Rs. 65,000cr. The demonetisation drive and the initiative of purging the economy from the toxic black cash provides a space for the Government and the Central Bank to cut tax rates and interest rates respectively, prompting up investments while being on track to attain the fiscal deficit and growth targets. The initiative of Digital India was most successful after the demonetisation which inculcates a behavioural change in the people by prompting cashless transactions and converting India into a less-cash society, thereby seeking to increase transparency and accountability. In order to make Digital India as a successful initiative, the government has taken the effort to boost the Digital Payments ecosystem and launched the BHIM app in which 1.5 crore people have registered within 2 months of its launch. To facilitate digital transactions among people, over 30 crore Rupay debit cards had been issued by the government including those issued to Jan Dhan account holders. Around 12.5 lakh people who preferred to do digital transactions have won under the Lucky Grahak Yojana while 70,000 traders bagged prizes under the Digidhan Vyapar Yojana. 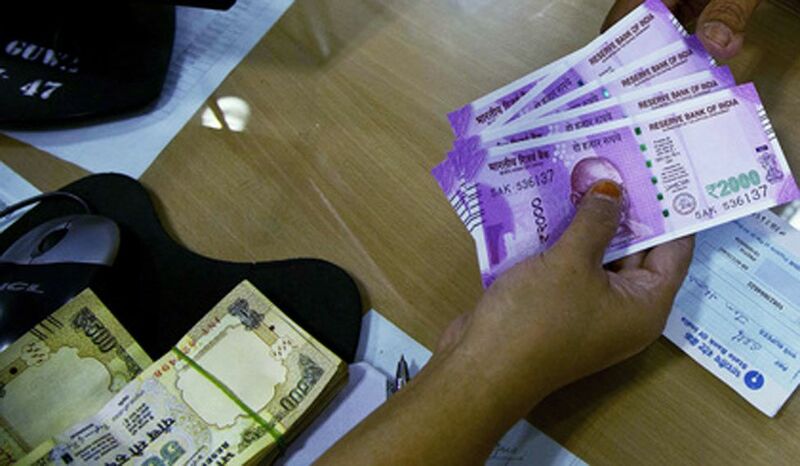 The Pradhan Mantri Garib Kalyan Yojana provided an opportunity to tax evaders to declare their undisclosed income and the funds of which would be channelized for the welfare schemes for the poor. The opening of saving accounts under Pradhan Mantri Jan Dhan Yojana (PMJDY) make possible to channelize the LPG subsidy to the targeted beneficiaries under the Direct Benefits Transfer (DBT) scheme or PAHAL scheme. DBT is the largest scheme of its kind in the world with more than 160 million registered beneficiaries which has a great potential to emerge as global best practice in benefit transfers to poor households. Since the implementation of DBT, the Government has managed to save nearly Rs. 22,000cr on LPG subsidy. The initiatives like demonetisation, PMJDY, DBT have made the government to achieve the goal of universal financial inclusion and bringing every citizen into the formal banking net. Under the PMJDY, around 28.13cr accounts have been opened so far which gives a much-needed boost to move towards a cashless economy and realise the dream of 'financial untouchability' in the country. The 'Give it Up' campaign was simultaneously in the process with the PAHAL scheme which encouraged customers who earn more than Rs. 10 lakh per annum, to voluntarily give up the LPG subsidy. From the amount saved from the 'Give it Up' was used to give over 65 lakh new LPG connections to those who still use firewood or kerosene stoves for cooking. Over 1 crore users voluntarily gave up the subsidy benefit and saved the government exchequer to the tune of nearly Rs. 5000cr. The efforts taken to make ‘New India’ by the Government are quite laudable. Earlier, the welfare schemes and programmes were in great need of transparency. In the last few years, the Government has succeeded to maintain accountability on their part and most of the initiatives have been made more transparent. 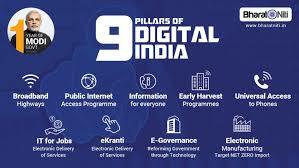 The initiatives like Digital India, Inclusive India and the assisting flagship schemes likes PMJDY, PAHAL, DBT etc. have proved the will of the Government devoted towards the benefit of the citizen as a whole. The remaining part of ‘The Story of India’ will be discuss in later articles.